A more direct definition would be the identification and prioritization of specific risks to a community, followed by a coordinated application of resources to minimize the probability of those events from happening, or reduce the impact of those events. It’s about being prepared—and knowing what to prepare for. CRR programs are about more than just educating on the importance of sprinklers, or providing free car seat inspections. They require a commitment to doing a comprehensive 360-degree risk assessment of your community and putting response and mitigation plans in place for each identified risk. Though not an entirely new concept—CRR programs have been successfully launched in the United Kingdom, New Zealand, Australia, and Canada—such programs are just now starting to gain momentum in the United States. Risk reduction programs provide equal value to departments of all sizes and locales—from the largest urban departments, to small rural and volunteer departments—and especially to agencies that face financial challenges and must make critical decisions about resource allocation. While it may sound simple, implementing a strong CRR program takes time, resources, strategic thinking and collaboration. You can’t just say, “Oh, that’s something we’ll have our safety prevention guy handle.” A true community risk reduction program is much bigger than one or two people. It’s a department-wide initiative. Below are the steps needed to successfully implement a risk reduction program in your community. These steps are outlined in further detail in Community Risk Reduction Planning: A Guide for Developing a Community Risk Reduction Plan, a report developed by the Vision 20/20 Project. Identify risks: Take a look at your incident data and couple that with what you know about your community (geography, demographics, etc.) to get an accurate picture of the potential risks in your community. Work with your community partners, including fellow public safety departments, other government agencies and private organizations, and leverage their information and expertise to be better prepared. Prioritize risks: Once you’ve developed your risk assessment, you need to prioritize the risks considering both probability of occurrence as well as high impact/low frequency risks. Then ensure you have an appropriate response plan for each identified risk. 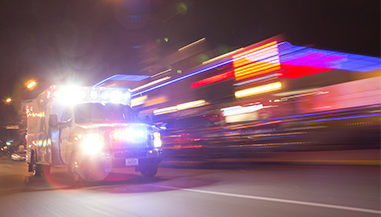 Emergency Response: Examine how to best deploy and structure a response to the different risks. Every department—and community—is different. Engineered Response: Engineered responses are solutions you can put in place to mitigate risks before they happen. Examples include: fire sprinklers, smoke alarms, heat-regulating technologies, etc. Such solutions can help reduce the likelihood of an event or reduce its impact. Enforcement Response: Introducing (or reinforcing) laws and regulations can significantly reduce risk in a community. Education Response: Often the most cost-effective solution is education. Take the time to educate the community and work to change behavior related to high-risk activities. Economic Incentive Response: Consider working with local government to implement monetary rewards, such as a tax benefits, for participation in risk reduction activities. Prepare the CRR plan: The rubber meets the road when you begin to implement your plan. Make sure your strategy is well communicated to the members of your department, as well as external stakeholders. Implement the CRR plan: Like the plan itself, the implementation of your CRR strategy will be unique. It’s your responsibility to tailor the plan to your community. Monitor, Evaluate and Modify Plan: Once the plan is in place, continue to evaluate and modify it as necessary. Use of on-duty and off-duty firefighters and fire prevention personnel to reach high-risk areas; strong examples of community relationships by station area. A one-month effort to conduct 7,000 home visits with the use of a private contractor to help identify high-risk homes. Collaboration with members of the local North African immigrant community who become trained as local fire safety advocates. A mostly volunteer fire department using a point system to incentivize staff. The organization-wide commitment to data-driven risk reduction by TVF&R has produced some of the most impressive statistical outcomes, which are worthy of an in-depth exploration by interested EMS & fire officials. Vision 20/20: Strategicfire.org is a resource-rich website with information about CRR. NFPA: The NFPA published a white paper in 2016, Community Risk Reduction: Doing More with More. In addition, the US Fire Administration’s National Fire Academy offers courses on CRR. 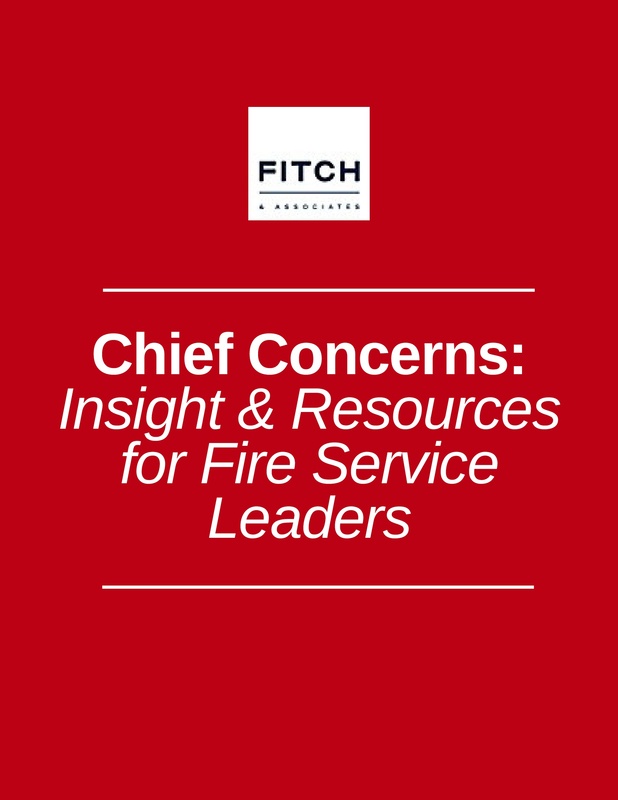 Your community’s expectations of your department continue to evolve, as do the challenges you face in ensuring that your department can provide adequate, cost-effective services to the community. Help your department rise to challenges. Help use limited resources to most effectively prevent, respond to and mitigate emergencies in the community. Help the fire chief sleep well! Jim Broman’s public fire service career spans over 45 years including 33 years as a chief fire officer. His education background includes a Masters Degree in Public Administration; he has received his Chief Fire Officer designation credential through the Center for Public Safety Excellence (CPSE); and he is a Fellow in the Institution of Fire Engineers (IFE).